Does solo travel scare you? I have the solution. From the emails that I get, I know that the thought of solo travel scares a lot of you. And I get that. It used to scare me too! But I think that I have the perfect solution for you. Watch the video, click on the links and continue reading to find out all about a super special offer that may be the answer to your fears. And please feel free to share this post with anyone who you think could do with a holiday or who may need a little support and encouragement to add some sparkle into their lives. I hate putting myself in front of the camera but I have filmed a video for you. 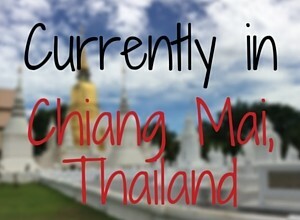 You can find out what I am going to be up to next and how you can join in. Click on this link to YouTube to view the short video. I would love you to let me know in the comments at the end of this post if you would like to see more videos in the future. And then, after you have watched the video do head on over to Something Slightly Different and see for yourself all the activities that are on offer in Catalunya this autumn/winter and in Malaysia next spring. If you like the idea of this new concept in travel and you would like to visit a particular country or region other than the two which are currently on offer, drop me an email and we can discuss when and where. And if you would like to purchase a holiday or the self-development course for somebody else as a gift that can be arranged too. Just ping me an email and that could be someone’s Christmas gift sorted. So please, please, please share this post around your friends and family – and especially forward it to anybody who would love to travel solo but who doesn’t want to travel alone. Solo travel is not that scary I promise you, nor is travelling with a group of strangers on an organised tour, but Something Slightly Different brings you the best of both worlds. There is a sweet synchronicity between my online self-development course, the Smash the Pumpkin Project and the new concept in holiday planning that is Something Slightly Different. You can help to design your own bespoke travel adventure or you can work through a series of challenges which encourage you out of your comfort zone. Subscribers on the Smash the Pumpkin Project are asking how they can travel some more and I know that adventurers who will travel with me on Something Slightly Different will want to explore and to push their personal boundaries further. Therefore if you book one of the travel adventures with me – the Catalan Adventure or Beginners Backpacking in Malaysia before the end of October 2016, I will give you an enormous 50% discount off the online course. 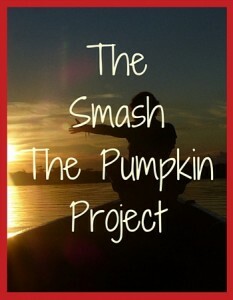 If you book one of the travel adventures in the next couple of months you can subscribe to the Smash the Pumpkin Project for half price. You will pay just £150 for the full ten month course and you can.begin working on the course while you are waiting for your holiday date to come around. Are there any restrictions on this special offer? You need to have paid the deposit for your travel adventure by the end of October 2016 but don’t delay. Remember, due to the individual nature of Something Slightly Different there are only so many trip dates available. So head on over to Something Slightly Different and complete one of the two planners. Email it over to me as per the instructions and let me design your bespoke trip. You have nothing to lose at this stage because the planning is free, but if you do decide to go ahead and book a trip, once you have paid your deposit I will add you to the Smash the Pumpkin Project for half price. In Catalunya your accommodation may be a villa on the edge of a river, a chalet in the forest, in a traditional Spanish town house or a smart hotel. Your accommodation in Malaysia will usually be in backpackers hostels (but don’t worry because I know some of the best ones). We may stay in shared dormitories, in a wooden beach bungalow or even a hammock – it’s all part of the experience with prices starting at just £3 for a bunk bed in a mixed dormitory. Enter your email address when prompted to receive updates, news and information from me. And if you want the full length version of my YouTube interview you can click on this link.